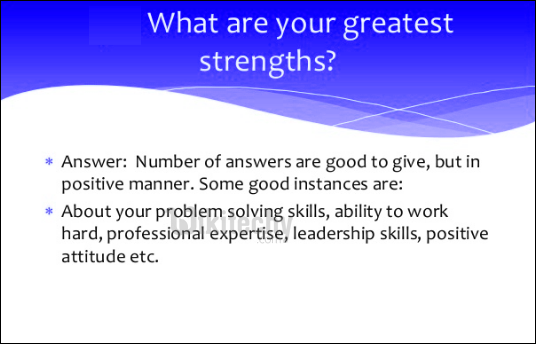 Home HR Interview Questions and Answers What are your strengths ? Your answer should needs to be true. Relevant to the position you were applied for. It should also be relevant to the company. Related Searches to What are your strengths ?